The second quarter of 2016 was marked by our attorneys' continued involvement in established diversity programs and events and by our firm's exploration of new diversity initiatives. Pullman & Comley has had longstanding relationships with a number of Connecticut and regional organizations committed to diversity and inclusion. In the second quarter of 2016 our attorneys continued our allegiance with these organizations, attending a number of their events and meetings. On May 2, John Stafstrom, Erick Russell and Jess Grossarth attended the National Awards Dinner for Lambda Legal's annual gala/fundraiser in New York City at Chelsea Piers. On May 12, Erick and Jess also attended the Connecticut Bar Association's LGBT Section meeting held at the Hartford Club, at which key players from the 2008 CT Supreme Court case Kerrigan v. Commissioner of Public Health spoke to the attendees about their experiences and Kerrigan's impact. On May 19, Pullman & Comley was once again a proud sponsor of the Crawford Black Bar annual dinner. Additionally, on June 23, Jess Grossarth attended a Lawyers Collaborative for Diversity strategic planning board meeting. During the second quarter, a number of our attorneys continued their work mentoring Posse scholars, students selected for their leadership and academic potential to receive merit-based leadership scholarships to attend colleges and universities as part of multicultural teams. This spring we began planning for the fourth annual "Celebrating Diversity" event with People's United Bank with supporting sponsors the Greater New England Minority Supplier Development Council, Bridgeport Regional Business Council, Hispanic Chamber of Commerce of Greater Bridgeport, City of Bridgeport Small & Minority Business Resource Office, Southern Connecticut Black Chamber of Commerce and the Greater Bridgeport Latino Network. This event provides a forum to showcase minority and LGBT-owned businesses in the Greater Bridgeport area and takes place in the lobby of the People's Bank Building. Kelly O'Donnell and Sally Laroche are spearheading the planning for the event scheduled for November 2. Save the date! In addition to their involvement with established organizations, our attorneys continued to find new ways to foster and promote a diverse and inclusive legal profession. Pullman & Comley's Diversity Committee is in the process of gathering statistics to make recommendations to the firm on supplier diversity. The Connecticut Bar Association's Diversity Committee (Bob Hinton and Jess Grossarth are members) created a subcommittee to plan an inaugural statewide Diversity Summit that will be held on October 26th. Jess is a member of that subcommittee. Finally, this summer our firm welcomed Charles Pobee-Mensah, a first year law student from Quinnipiac University School of Law as a summer associate. Charles spent five weeks at Pullman & Comley and is now spending five weeks with Yale New Haven Health's legal department. The Women's Leadership Initiative has also been active supporting women and family-focused organizations and sponsoring career development opportunities for women. On April 27, our women attorneys teamed up with the Women's Leadership group at MahoneySabol for a professional development program and networking event. 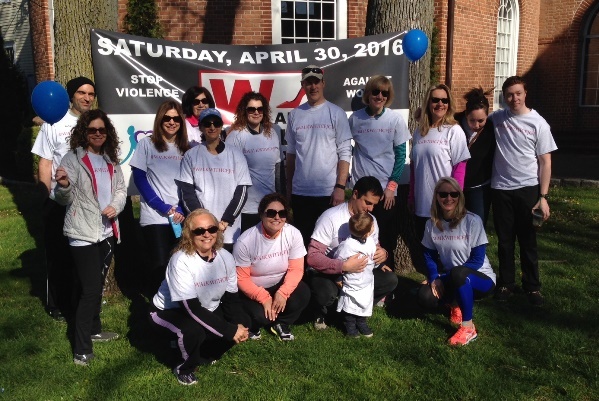 On April 30, men and women attorneys and staff teamed up with People's United Bank employees to support the Center for Family Justice's "Walk a Mile in Her Shoes" event in Fairfield to end sexual violence against women and girls. And finally, on May 11th Pullman & Comley co-sponsored this year's all-day Moffly Media forum "Women in Business Conference" held at the Greenwich Country Club. Three of our women attorneys, Liz Austin, Nancy Hancock and Laura Cardillo, presented an informational session targeted to professional women and women business owners on "Forming, Nurturing and Expanding Your Business: Recipes for Healthy Growth."